If you’re planning an extracurricular activity and need to feed some guests, look no further than LunchBox! Whether it’s for an office of 20 people or 200 people, we have a great selection of fresh options for you to choose from. Let your guests choose from sandwich platters and shareable snacks/salad, or pick some of our pre-made combinations in our convenient and easily-disposable boxes, it’s entirely up to you! 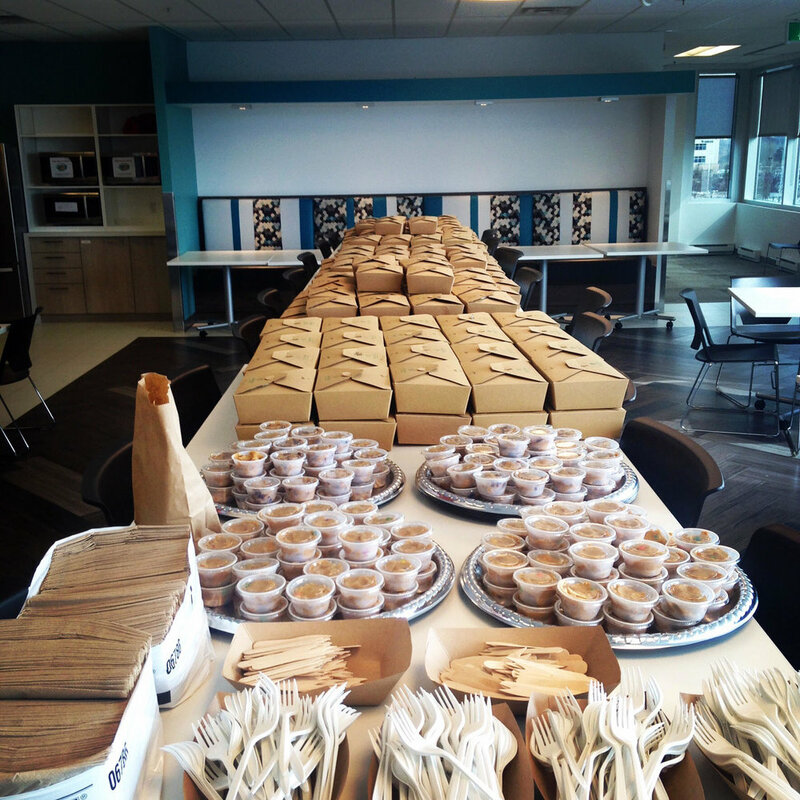 Check out our “Q and A Period” page for answers to common catering questions and more! Great for sharing and offering guests a variety, sandwich platters come with your choice of 3-4 types of sandwich from our menu. Add on a large shareable salad, snacks, cookie dough or drinks to round out the meal! Choose 1-2 types of shareable salad to add to your order! Thank you for your order! We will back to you as soon as possible with a confirmation email and a quote. If you’re looking for an easy set-up and clean-up, try some individual LunchBoxes! Choose from a couple of pre-made sandwich/snack combinations, with an assortment of cookie dough and drinks to go along. Choose up to 4 different types! Choose assorted or pick the drinks you want! Order boxes of our individual salads or sandwiches, or if you can’t decide between them try both in the form of our Sandwich/Salad LunchBox! Choose between individual boxes of sandwiches and salads OR sandwich/salad combo boxes!